« Is There an Afterlife? Mariam Noronha, an experienced Management Educator, has some helpful advice on how to manage annoying colleagues. Read her top tips below which will help those seeking better working relationships with their co-workers. One of the many reasons why we get stressed out at work and sometimes even resist going to work is because we encounter some annoying colleagues. Such people trigger off negative emotions and make us feel restless and compelled to react. Whenever something upsets you, try and shift your focus by thinking about something positive. If you cannot entirely avoid an annoying person at work, try not to focus on them. Instead think of someone you like and admire. Just thinking about a friend or a happy incident might help you shift your focus and lift your mood. Remember, it takes all sorts to make this world and it is when we come across irritants that we realize the value of our well wishers and loved ones. Sometimes the other person is not going all out to irritate you or may not even realize the effect they are having on you. Try talking about their annoying habits or traits to them in private and when they are in an open frame of mind. Many a time approaching people when they are in an amiable mood to discuss irritants arising out of their actions is the right thing to do. However, such a move is not without the dangers of it backfiring or turning that person off even more. So apply this method only if you are willing to take that risk. One of the best ways to deal with people who annoy you is to try and get them on your side. This is easier said than done though but it is possible if you try and figure out what the other person is really looking for. If you can demonstrate that you will be able to help them get what they want or how you can help them achieve their goals they might just be willing to get on your side instead of working against you. This is what I would say might help us deal with annoying colleagues, acceptance of the fact that this person is only doing what he or she does anyways. Why am I letting it ruin my day or peace of mind? The moment we let other people determine how we feel it is all about handing over control of our minds to someone else. You won’t hand over your car keys to someone who is a bad driver and let them damage your car, will you? Then don’t allow an annoying colleague or a bully at work to control how you think, feel and respond to a situation. Start with yourself, feel good about yourself and what you can do, the rest will fall in to place slowly but surely. 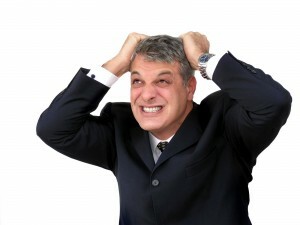 Annoying colleagues trigger off a number of negative emotions, anger being a predominant one. Anger burns you and does more damage to you than anyone else could do to you. Instead of getting angry get tough; decide that you will not let anyone else’s behaviour adversely affect you. Adopt a “no nonsense” approach so other people get the message about what is acceptable and what is isn’t. A steely resolve that you will get through the day without letting other people control your temper is what you need. Tagged employment, how to, success coaching, work. Bookmark the permalink.